Deleted Scenes | Gremlins Online! 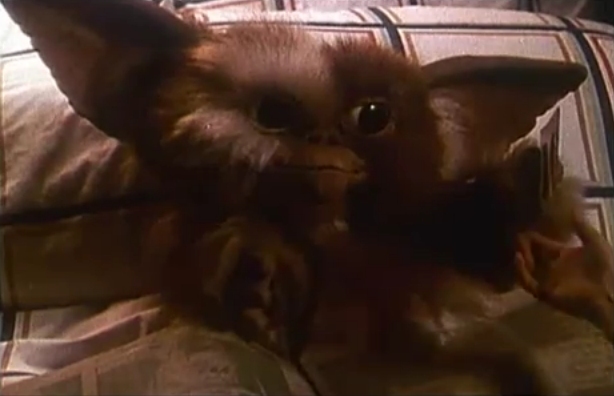 The original Gremlins film clocked in at over two hours and forty minutes long according to Joe Dante on the commentary of most recent release of Gremlins on DVD and Blu-ray. Most edits were made due to pacing and time constraints. Other edits were just due to redundant or unimportant information. 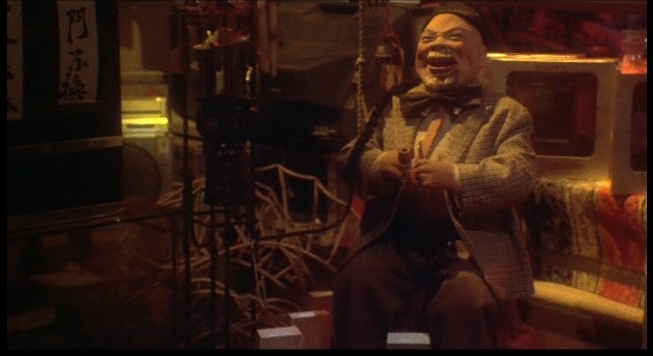 This was to open the film, a creepy laughing asian man toy. It was one of the items that Rand Peltzer passes by while looking for a unique present for his son for Christmas. Rand meets up with a shopkeeper that doesn’t quite understand what he means by something “unique” or “different” so she keeps bringing out strange objects for him to buy. (A 9-volt battery, some kind of blimp thing) This was also menat to hint at why he names the Mogwai what he does, as he is looking for “Some kinda gizmo”. While the shopkeeper goes in back to find a “gizmo” for him, a young boy approaches him, promising something unusual, Rand grins and goes over, “Allright kid, whatcha got?” to which the boy replies “How’s this? !” pulling out a shrunken head. Taken aback, Rand asks if it is real, and the young boy informs him that “Everything’s real…at Grandfather’s store.” Rand leaves with the boy and the shopkeeper comes out with a giant chinese dragon, though Rand has already left, much to her dismay. Notes: This scene explains why the young boy tells Rand in the finished version “I told you, everything’s real!”. 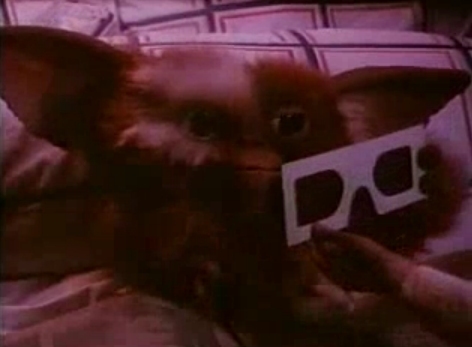 The scene is really not necessary to move the story along, and while humorous, and gives us some insight on why Rand called him Gizmo, it slows the movie down. 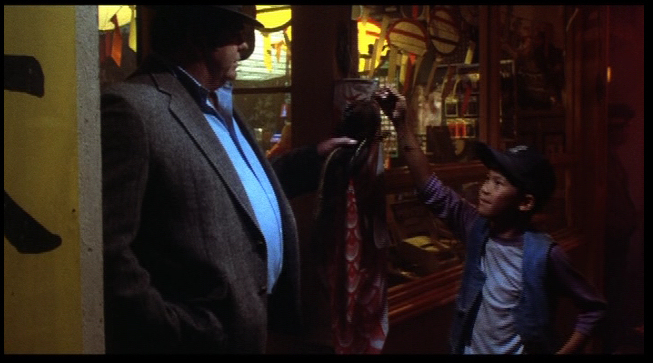 This scene would take place immediately preceeding Rand and the young boy going down the stairs to his Grandfather’s store in the finished version. This scene opens with billy stammering how lovely Kate looks in the dress she is wearing, which gets cut off by Gerald calling him into Mr. Corben’s office. As Billy goes into the office, Kate fixes the upside-down “William Peltzer” nameplate. 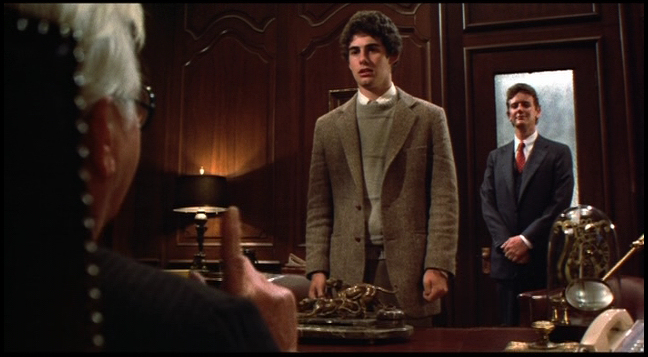 Mr. Corben, the bank manager, tells Billy that “Punctuality is the Politeness of Kings” and basically chides him for being late. After telling him to get a new, non-clip-on tie, Billy is dismissed and goes back to work. Notes: This is personally one of the few deleted scenes that, in my opinion, enriches the film immensely, and is really a shame that it was taken out. We meet Gerald for the first time, and get a phenominal performance out of the late legendary Edward Andrews, in what would be his final role. This would have been immediately after Billy signs Kate’s petition to get Dorry’s Pub declared a landmark, and likely ended with Mrs Deagle walking to the bank with her snowman’s head. An interesting note, in the finished version, Billy’s nameplate on his teller window is placed upside down in a hurry, then when Barney leaps over the counter at Mrs. Deagle, it is right side up. This missing scene accounts for the discrepancy. This was meant to be included after Billy gets home from work but before his father introduces Gizmo to the family. Simply Billy sitting at his desk, seemingly about to start working on some of his art. 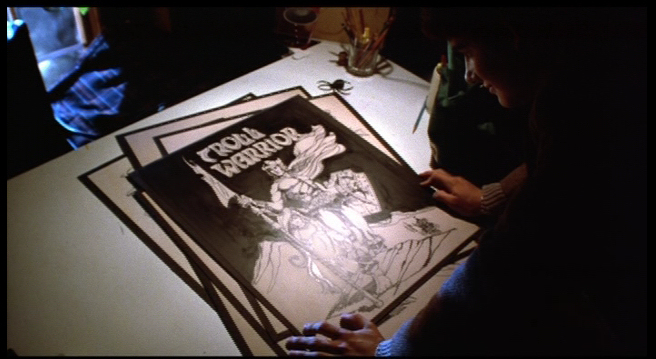 It shows the title “Troll Warrior” which is the name of what his current art project is. (it is unknown if it was for personal hobbies or if he was planning on submitting it to a publisher.) As with most scenes that did not feature the creatures from the film, this was likely cut due to time constraints. 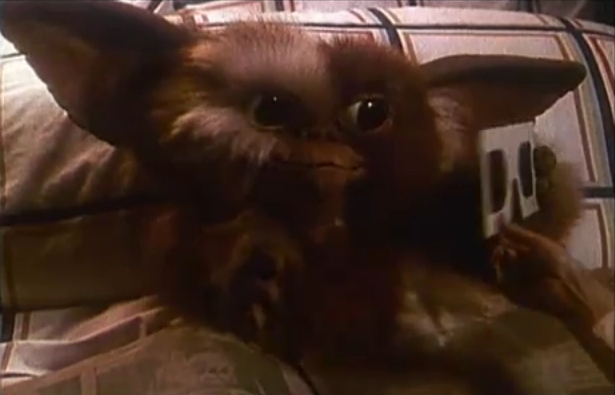 This scene seems to have been meant for after gizmo is injured by falling off Billy’s desk, it is the next day, and billy is on his way to work. He stops and speaks with Father Bartlett about sending out last minute Christmas Cards. 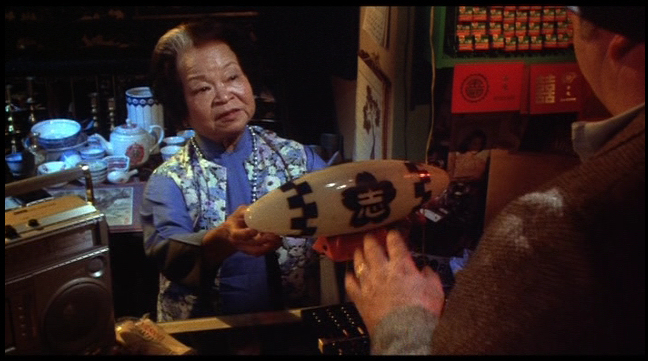 This scene also sets up the mailbox attack later in the film. 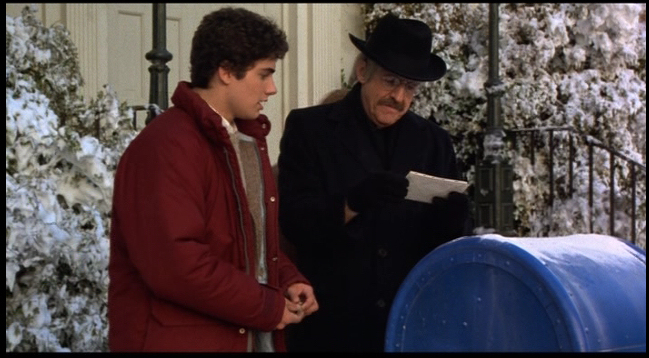 Unfortunately there is no reference to how Father Bartlett at first thought that the Mailbox spitting cards back at him was probably a “Hidden Camera” prank or something along those lines. This scene again, was most likely cut due to time constraints. Here we have probably the most major cut in the film, which effectively cuts out an entire subplot that is important in helping the audience understand just how evil Mrs. Deagle truly is. The novel places this scene shortly after the “Christmas Cards” deleted scene, and before we officially meet Christmas Tree Pete. 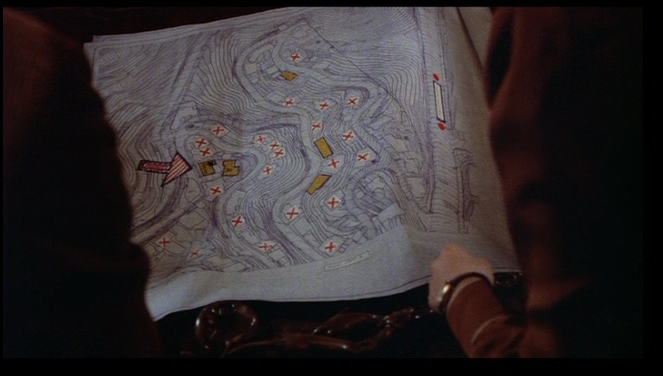 Kate calls billy into Mr. Corben’s office to look at some papers she found that shows various homes marked in red. Here it is revealed that Mrs. Deagle is planning on forcing the bank to forclose on those homes, then she will buy them up to sell to the Hitox chemical corporation. Gerald appears behind Billy and Kate to admonish them for snooping, and attempts to blackmail Kate into going on a date. She, of course, spurns his advances yet again. This whole scene goes towards a further subplot about how most of Kingston Falls is under Mrs. Deagle’s thumb and since the Noodle Factory closed, the town has fallen upon some hard times. You got a sense of this when Mrs. Harris and her children approach Mrs. Deagle outside the bank while Mrs. Deagle is carrying the head of her imported bavarian ceramic snowman to confront Billy. Another allusion to this subplot is Mr. Futterman, who notices the exchange between Mrs. Harris and Mrs. Deagle, but walks away. In an upcoming deleted scene, it goes into a bit more detail. It is disappointing that this subplot was removed, but in the end, I am sure that audiences cheered the demise of Mrs. Deagle regardless of the town takeover plotline. It was again most likely edited for time, and we already know that Mrs. Deagle is an antagonist while that Billy and Kate are our heroes. 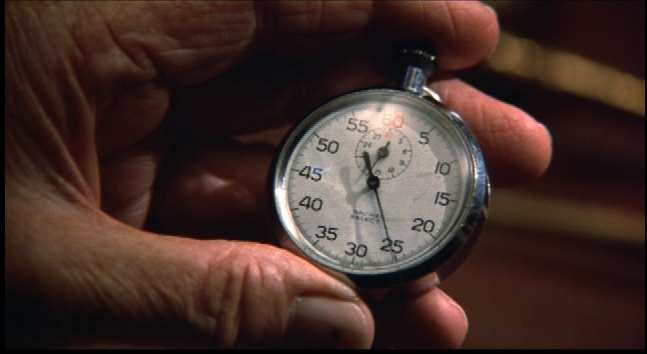 As far as is known, this was not in any final print or any special feature on any release of the film. Truly a unique deleted scene that is a tiny gem found almost 30 years after release! ok, so i got a question for anyone who can answer it..Gremlins was and is still my favorite movie of all time.. I saw it in theaters when i was 5 (1984), I actually begged to see it again so i got to see it twice in the theater! !lol..anyhow, i vividly remember two scenes, that i havent seen anywhere there after even in the “deleted scenes” sections.. Thanks for the question, it actually is a very common one that we get around here. The Gerald scene does exist on the Special Edition DVD and Blu Ray discs. As for Rockin’ Ricky Rialto, there is no known footage of the scene, the only thing we have is the audio that plays during a few driving segments. I will poke around a bit and see if I can find out if there ever was anything shot for Rockin’ Ricky Rialto that was left on the cutting room floor, however it is very doubtful that anything will turn up. I will be updating the deleted scenes sections soon with the gerald in bank scene and anything else we have. I saw that asian man doll! It’s FREAKY! 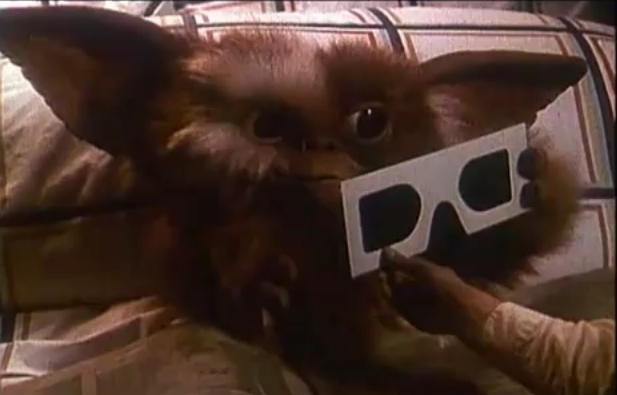 This is really awesome, Gremlins was my favorite movies when i was younger. It’s cool to see some deleted scenes from the film. Pingback: Deleted Scenes Holiday Treat! « Gremlins Online!